Item Number: 310-4-108 15561 Actual Weight: 1.5 lbs. Made from 100% renewable resources. 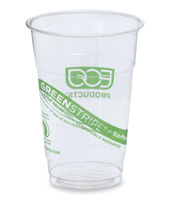 Odorless and non-allergenic cups are designed to compost in a commercial facility in 45-60 days. 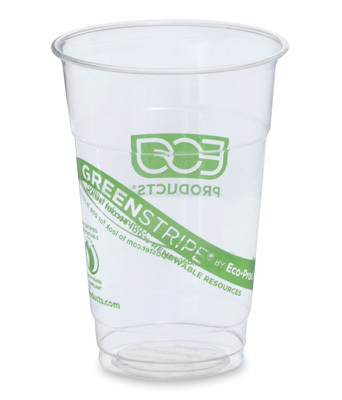 Printing states “CORNCUP™ BY ECO-PRODUCTS® MADE FROM CORN” with green stripe wrapped around bottom of cup. Meets ASTM D6400 specifications. Certified by the Biodegradable Products Institute.Compostable lids and straws also available. Call for details about custom printing.